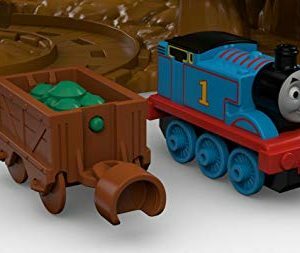 Just send Thomas down the track and press the handle. 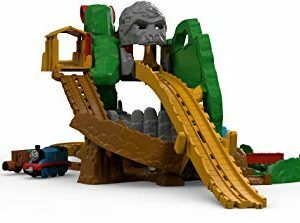 Press it three times to bring Thomas to the top of the playset, where Thomas comes face-to-fearsome face with the gorilla! 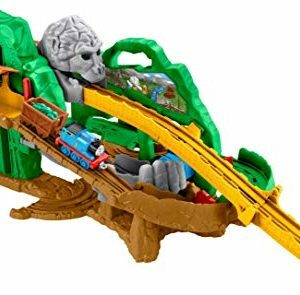 When Thomas reaches the top, the emerald drops down and lands in the gorilla’s hand. 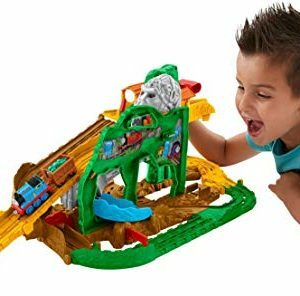 Thomas can race down the platform after the treasure but as he approaches, the gorilla hand grabs the emerald and pulls it out of reach! 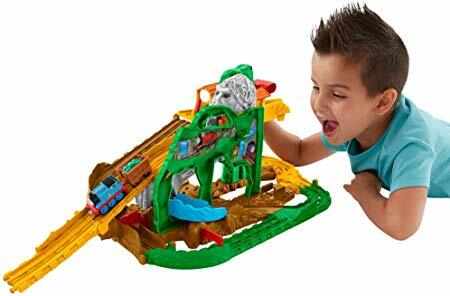 After playing out the thrilling adventure, children can also flip the set around for more jungle action. 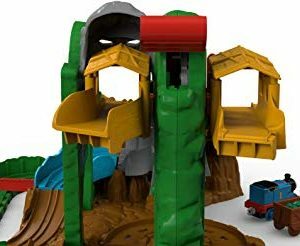 Ride Thomas through the vines. 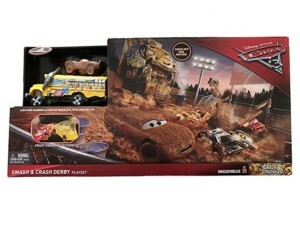 As the river platform is tipped, the treasure rolls onto the tracks. 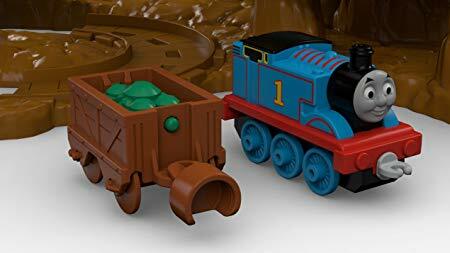 Help Thomas push the treasure along the tracks and onto the rear lifting track. 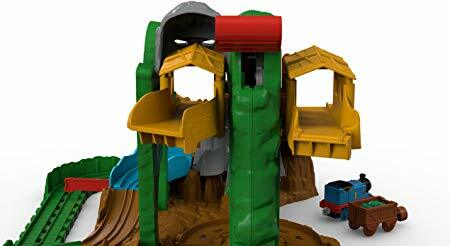 Push the handle 3 times and Thomas rides to the top of the play set again, to the back of the gorilla head. 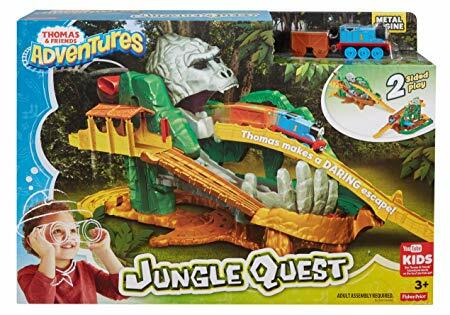 Have Thomas and the treasure ride through the gorilla head and down the rope bridge track back to safety. 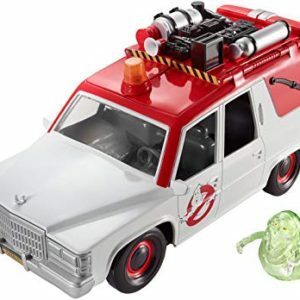 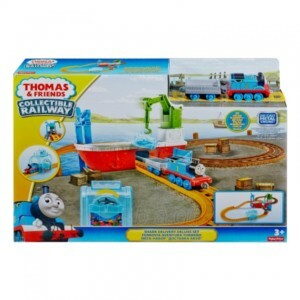 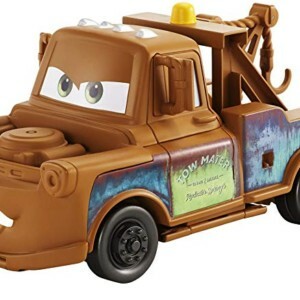 Includes diecast metal Thomas engine and emerald cargo car. 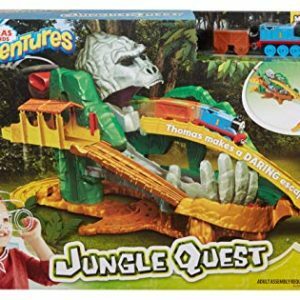 Thomas is on an amazing adventure in search of the legendary lost emerald… but he must get past the gorilla guardian first! 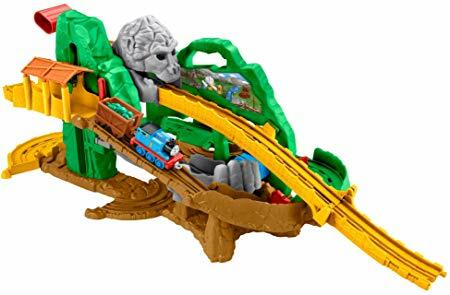 Help Thomas on his quest to find this rare artefact.